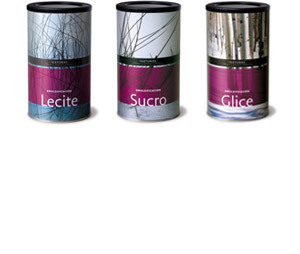 Family that began with Lecite, which can obtain aereated preparations, and now has two other products, Sucro and Glice. Their outstanding characteristic is their capacity to join two phases that cannot be mixed, such as fatty and watery mediums. That makes it possible to make emulsions which otherwise would be very difficult to obtain.